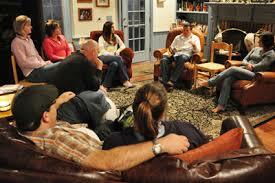 Northside offers multiple ways for men and women to meet together to fellowship and study the Word of God. Growth groups (AKA small groups) provide an opportunity for families and individuals to meet together in a smaller setting and grow their faith in God. Meeting times and locations vary based on what works for each group. To learn more about joining a growth group, contact Kevin Cash.